Lately, I've been pulling my hair in a low bun because it's a classic look and it's different from a high bun. The thing with doing buns on the regular is that it tends to put extra stress on your edges. My main hair is fine textured and the hair on my edges is even more fragile and wispy. It has the tendency to break off if any stress is applied and it gets worse as I age. 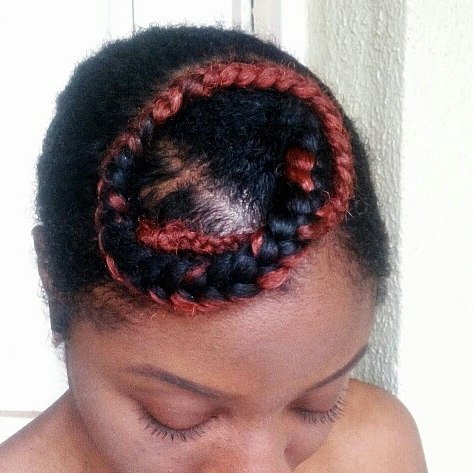 The most common advice given with regards to protecting your edges is "Make buns loose". The problem with this advice is putting your hair in a loose bun means your bun is frizzy, rough and unattractive because there's a lot of hair that couldn't fit into the bun ... especially if you don't have long natural hair! So, to make sure I don't stress up my edges, I would pull my hair into a loose low bun and then use a scarf to make a turban around my hairline. 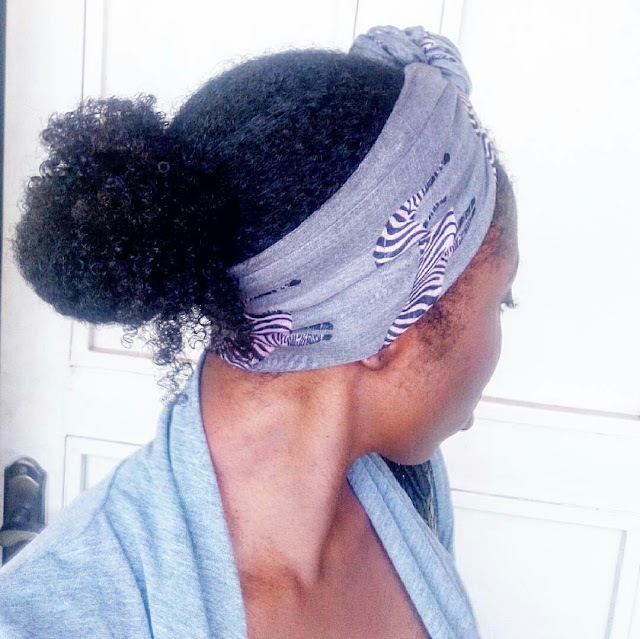 Putting a turban around my hairline tames flyaways and keeps my style looking neat and thus, it prevents me from gathering my hair tightly as I try to keep every strand in place. - In a very conservative working environment, I'd use a black turban or just take off my turban once I get to my location. By the time I do this, my hair is smooth without the use of gels. - To get the best result out of this method, I'll apply raw shea butter to damp hair before wrapping it up in a turban. 2. Make "V" shaped parts. Making "V" shaped parts instead of the regular single parts means I distribute the stress to multiple parts. I don't have to pull my hair as tightly as I would if I had a single part to get a sleeker look. - I use bobby pins to hold the hair in each part in place. 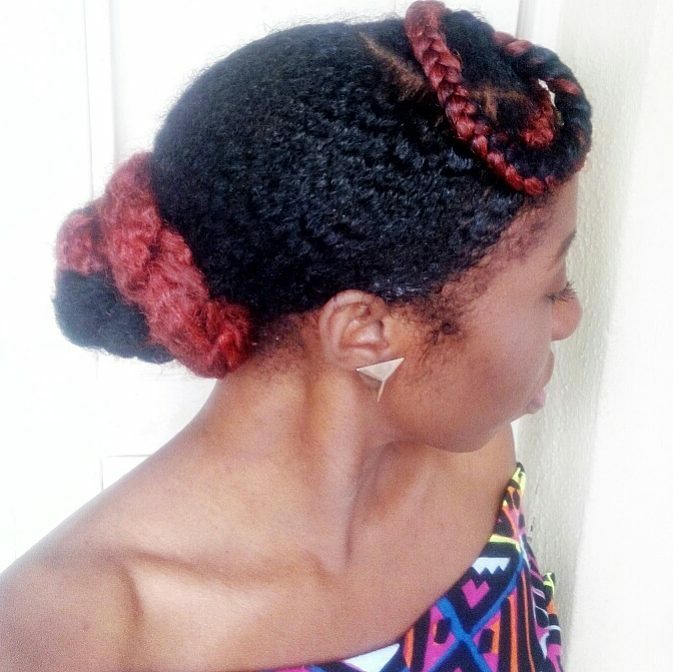 - I use a small amount of Ecostyler gel and a scarf to keep my hair in place when I can't find bobby pins. 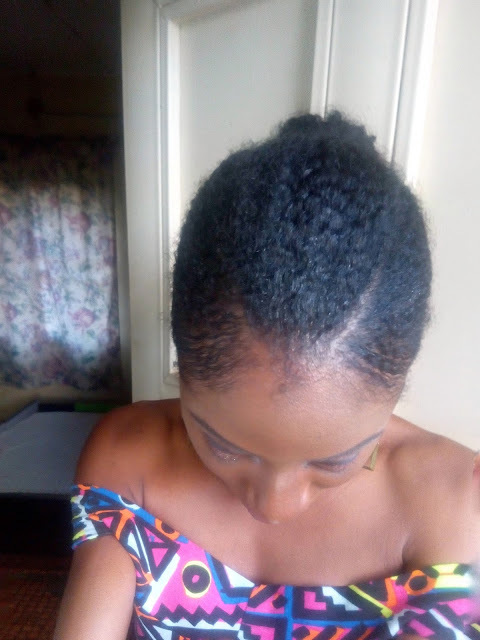 - I slightly dampen the hair on each part and used raw shea butter/castor oil to hold the hair in place when I run out of Ecostyler. 3. I use Marley hair. 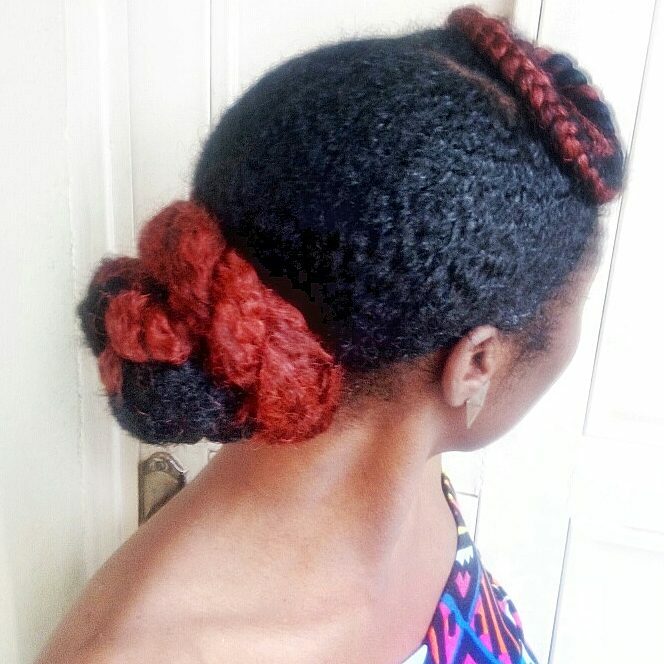 For this style, I used the same "V" shaped parts but instead of pulling the top "v" backwards into the bun, I braided it up with Marley hair and wrapped it up forward. Then I loosely gathered the back and braided it up with Marley hair and wrapped it up into a bun. By using extensions, I do not force all my hair into a bun. This helps save my edges. Using extensions is good if you're at "in between length" natural hair. You can make more sections in front so you have less hair to pull back into a bun. 4. I avoid cornrows and braids. This one is personal. You may skip it if cornrows/braids don't break your hair. From experience, cornrows and braids are way too much stress for my hair. I prefer flat twists and twists. Putting them in is not stressful and taking them out does not require the use of any pointed end. I could just do it with my fingers. Also, flat twists/twists don't hold my hair and the hair on my edges as tightly as cornrows/braids do, so personally I favour these for my hair type. Finally, everyone's hair is unique. You know your hair more than anyone does. If you have fine, light hair, you shouldn't be doing the same things people with coarse, thicker hair are doing. Hi people, what's been on! So, wash day has come and gone....drama-free! As you already know, I wash my hair once in 3- 4 weeks. My wash days focus on cleansing my scalp and thoroughly infusing moisture into my hair. My hair texture is of the 'fine' variety. Not fine as in pretty, but fine as in my strands are not thick. The older and longer my hair gets, the more fragile they become. So my wash day is not only trying to have a clean hair and scalp but also trying to avoid as much damage as I can while strengthening my hair. For this reason, the oiling method I've adopted stays in my life forever! I've also kind of phased out the use of shampoos in my regimen by making several changes. 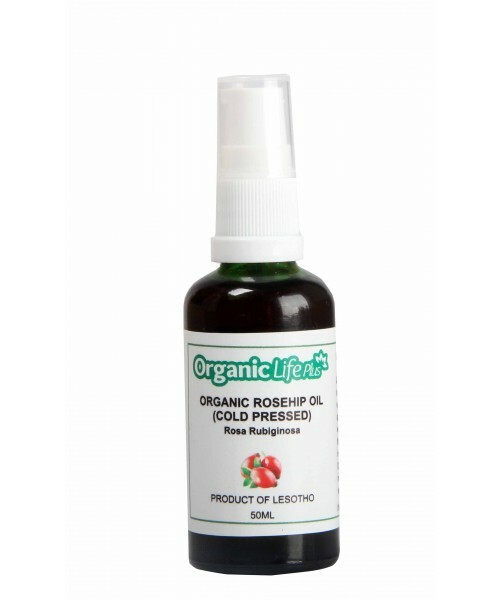 - I try to avoid ingredients that will require me to use a shampoo to remove them. This means no insoluble silicones, no heavy waxes, no petrolatum, no mineral oils...in fact anything that is insoluble in water! I'm really careful about this so read my ingredient list thoroughly. - I try not to be heavy handed with products. This is so as to prevent my hair from being a dust and dirt magnet! I favour products that give me at least two days moisturizing, can be refreshed by spraying clean water and of course can easily be rinsed off with water. - I try to keep my hair covered especially when I'm on the road. As I Am Coconut Cowash Cleanser. - They clean my hair thoroughly without residue. No moisturizing coat of anything. This is why I also avoid all those body washes with "ribbons of moisturiser". No thanks. I'm looking for clean. - They don't dry out my hair. Not at all! My hair feels squeaky clean but supple. My coils boing like never before! I can't explain it! Clean but boingy. - They have amazing slip! If you have tightly curled hair, you'll know that a product with good slip is everything! With a good slip, you can rule the world!!! Okay, you can detangle like a dream! I may finally bump into other products that may give me results but these three are lit! I usually detangle with my fingers first and then a wide tooth comb like the Hercules Sagemann pictured above. It's a seamless comb with rounded teeth so there's less likelihood of your hair snagging on rough surfaces. It's worth investing in. After I cowash my hair, I deep condition. Depending on how long or short I can afford my wash day to be, I'll deep condition using heat (longer washday) or just use a deep conditioner I can leave in (short). While I really do miss my Shea Moisture African Black Purification Masque (reviewed here), the replacement - Sheamoisture African Black Soap Dandruff Control Masque works well enough as a deep conditioner and thick leave-in conditioner for me. That's just where I think it has one up on the former. I rinse out the deep conditioner using a conditioner or cowash cleanser. 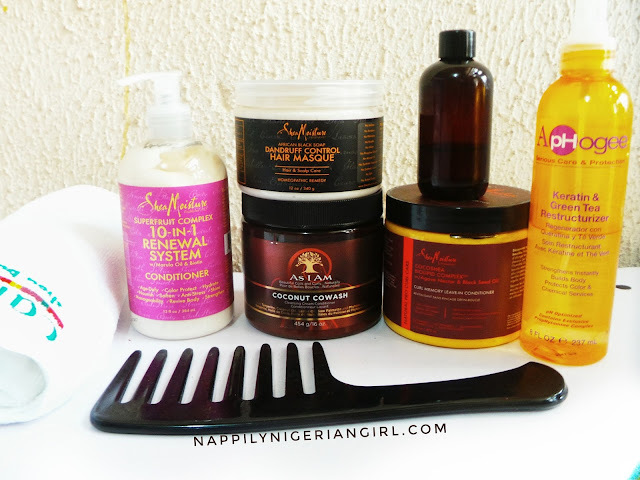 In this case, I used Shea Moisture Superfruit Complex 10 in 1 Renewal System Conditioner. I think it's a pointless effort shampooing off a deep conditioner. It just leaves my hair feeling dry. 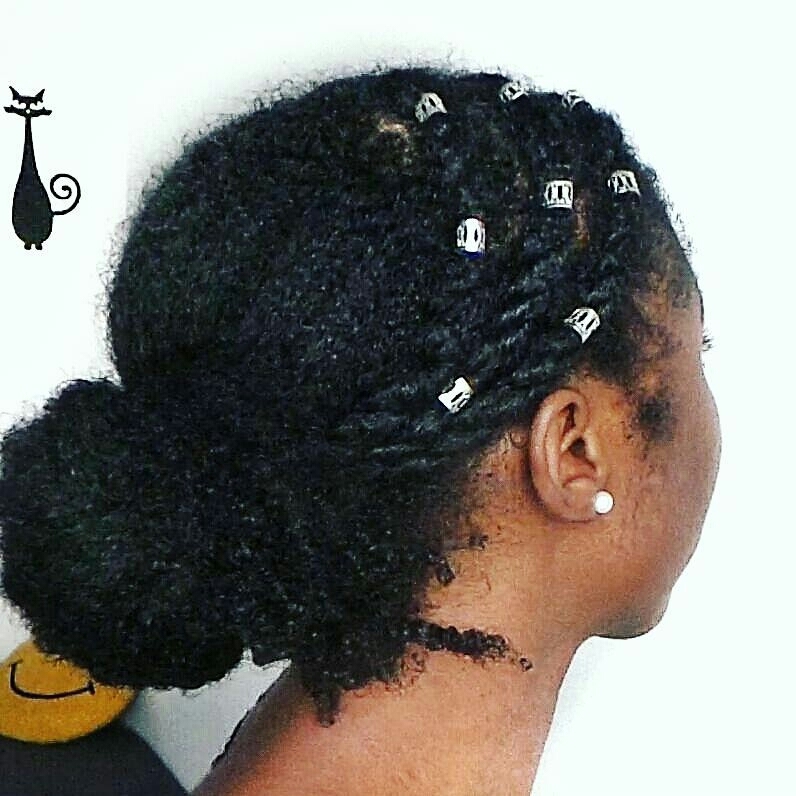 After the deep conditioning step and before the leave in conditioning step, I blot my hair dry using the Cantu Microfibre Towel I was gifted at their meetup and then apply NappyGirl Growth Enhancing Oil to my hair and scalp. I transferred some into the darker bottle to make it easier to apply. It came originally in a spray bottle but I'm thinking spray bottles and wet hands don't work well for me. Right now, I'm using SheaMoisture Curl Memory Leave-In Conditioner. My first impressions are it works very well with Ecostyler gel for wash and gos and it softens it up so my hair doesn't dry crunchy. If I'm not doing a wash and go, I stretch my hair with twists. Thanks to wigs, I can make 6-8 twists and allow them to dry gradually under the wig and still look good. 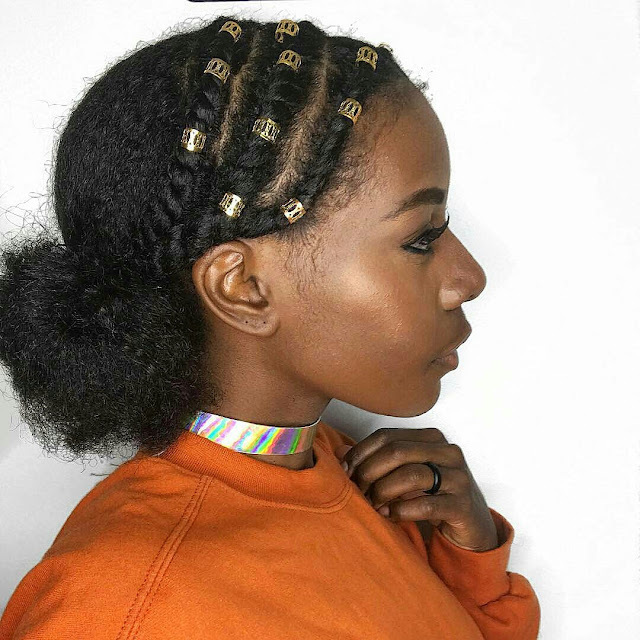 After a week when my twists are completely dry, I would rock a curly well-defined twist out or my hair will be stretched enough for any updo I like. 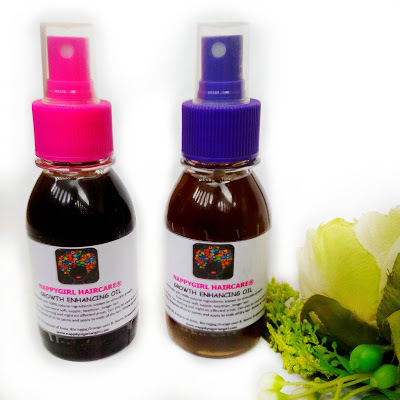 I use the Aphogee Tea Tree Reconstructor as a refresher spray to hydrate my hair in between washes. 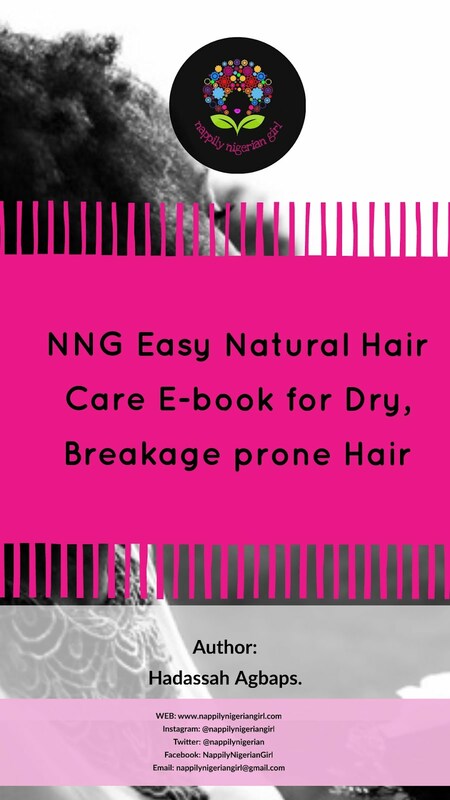 It contains hydrolysed keratin and green tea extracts so does double duty as a mild protein treatment and prevent excessive shedding. Thus ends my wash day! To get my hands and mind off my hair, I decided to try out a protective style I saved on my Instagram page, @nappilynigeriangirl. 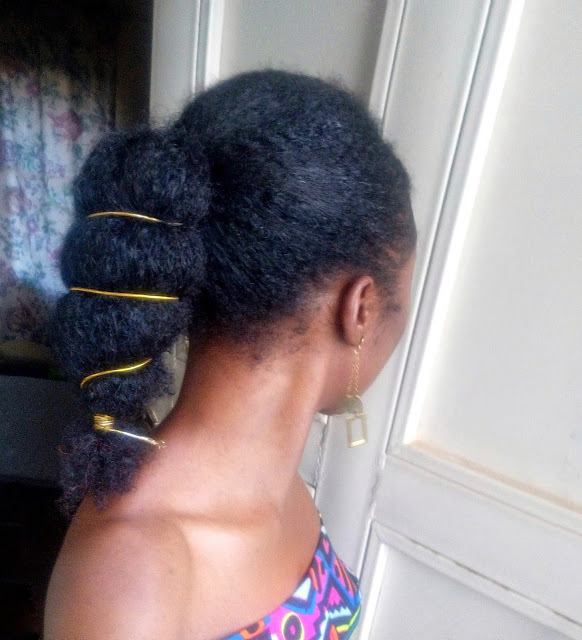 My hair was previously stretched in six twists I had hidden under a wig for two weeks and I wanted my hair and scalp to get some air. This is hairstyle for natural hair inspired by @clatodd on Instagram. It was pretty easy to do. - Make two sections from ear to ear. - Divide the front section into two equal halts down the middle. - Make three flat twists on each side and put the tiny metal hair cuffs. 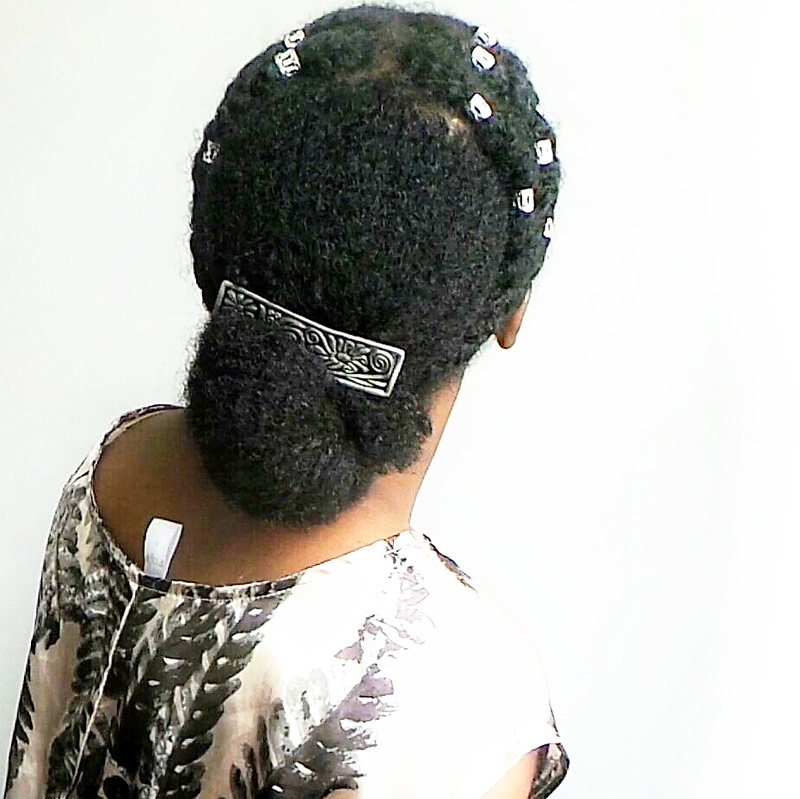 - Gather the flat twists into a low (or high) bunny puff at the back. - Place a scarf on top for 15 mins to tame any flyaways. This style lasted 7 days. I always wrapped it up at night so it stays smooth by morning. Then I'll pat a little growth oil on and I'm out the door. Fine hair can be a bit difficult to style especially if it is low density. Here are my tips and tricks to styling my fine hair to give it the illusion of lots of volume! So, after years of thinking about it, I finally got two tattoos! Henna tattoos, y'all! 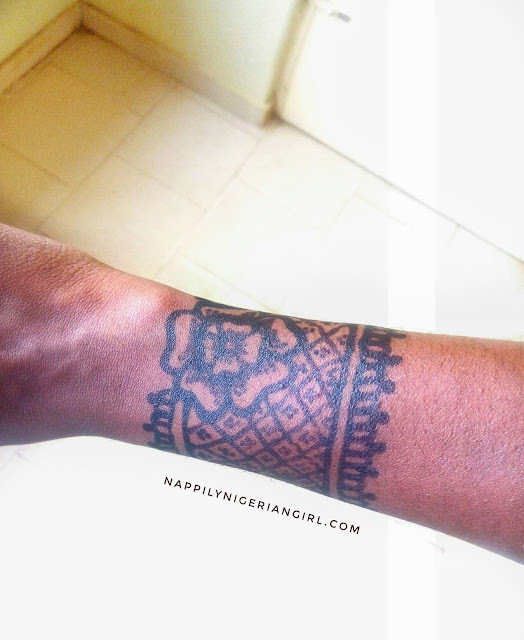 Yep, the henna we use to strengthen and impart colour to our hair!!! It's a temporary and painless way of getting body art done. 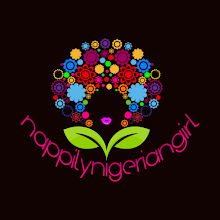 In Nigeria, we know it commonly as "Lalle" and it is very popular with Northern Nigerian brides to beautify their hands and feet. 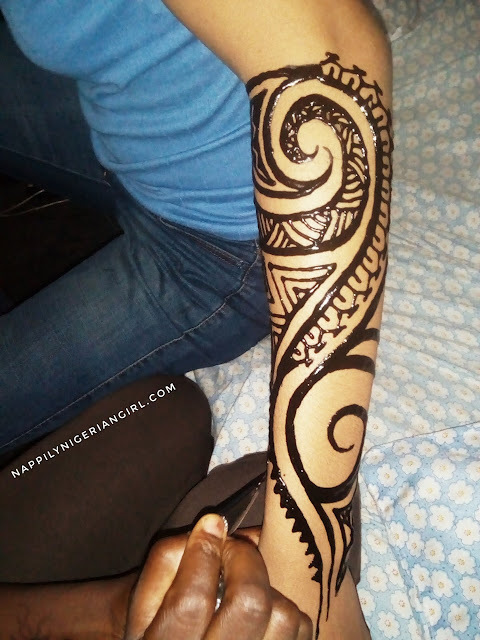 I also learnt that in Igboland, body art was commonly known as "uli" and was done to beautify Igbo brides too. 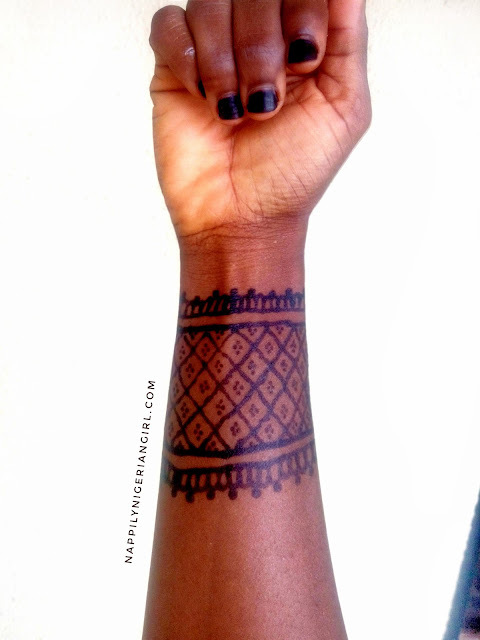 Henna is also used by the Yorubas and when I asked if there was a different name for it, I was told it's also recognized as "Lalle". The patterns done differ from tribe to tribe. I'd been looking for a good henna artist who won't "draw spoil"! I came across a very talented artist at my friend's. 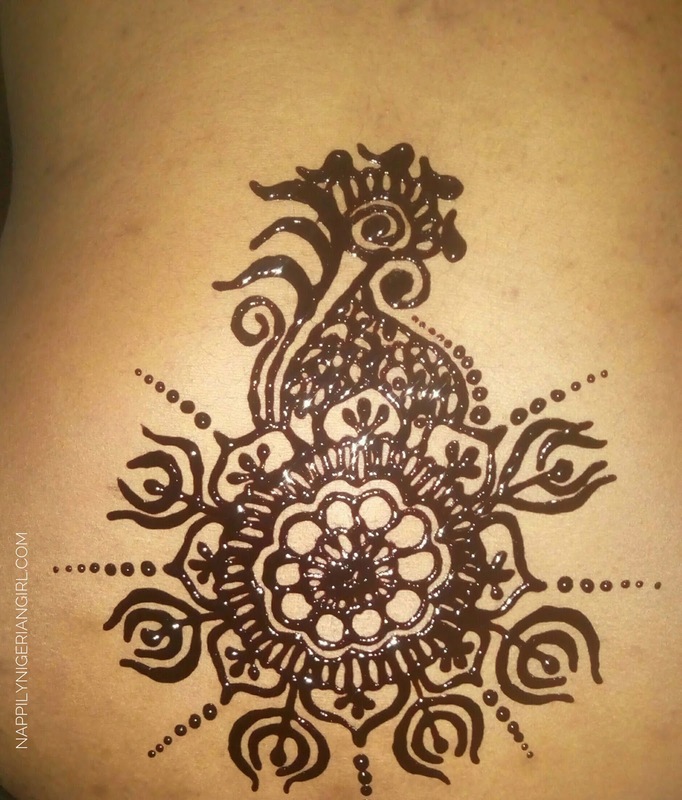 She's an optometrist by profession but a henna artist on the side. I had seen the tattoo she had done for one lady and as an optometrist, she certainly has a good eye for detail! So I booked an appointment and my friends and I had a "tattoo party" of some sort. I also got my nails painted because henna strengthens nails too. I'm also a chronic nail biter so this will hopefully let me grow out my nails. My friend had a "Moana" inspired artwork done on her forearm. The henna tattoos lasted two weeks before fading out. The one on my wrist faded out earlier. I think my hair conditioner had something to do with it. The henna on my nails is still on as I write. I love the beautiful effect of two-toned nails it creates as my nails grow longer. My nails were stronger too and broke off less. If you're interested, you can find the henna artist on Instagram via @omeira_sanguine. She's currently in Lagos.